The Premier League fixtures return this weekend and 10Bet have boosted the odds of three teams to win their matches out to 15/2. We’ve checked all the other bookies for you and these are the best odds available. All three of the matches kick-off at 3pm and you just need to have a 10Bet account to place the bet – if you have never used them you’ll also get their sign-up bonus of up to £100! 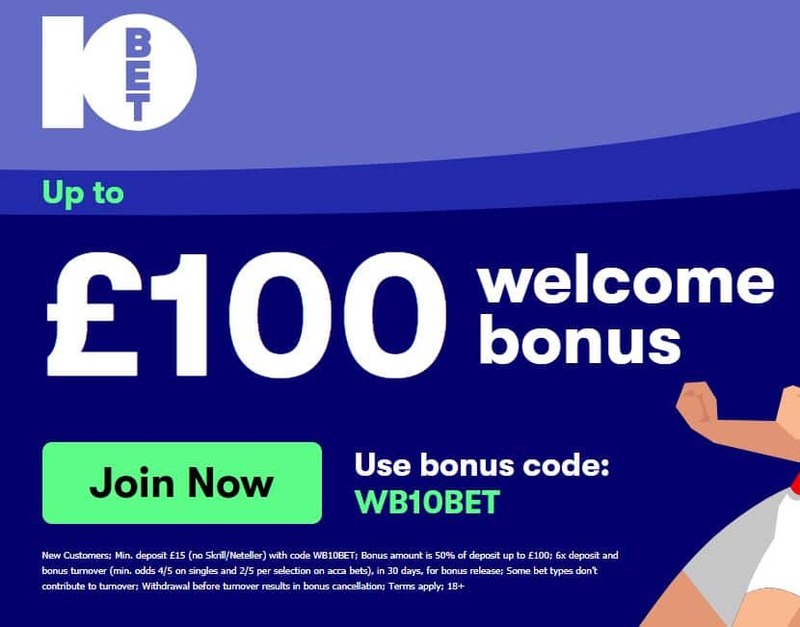 GET THE 10BET SIGN-UP BONUS VIA THIS LINK. You can see the full previews of all three of these games in our Premier League predictions section. If the bet wins you’ll get paid out at odds of 15/2 instead of the normal odds of 13/2. 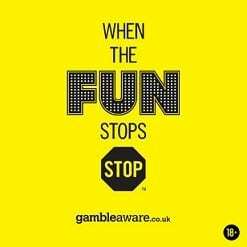 This means an extra £10 for every £10 you bet. 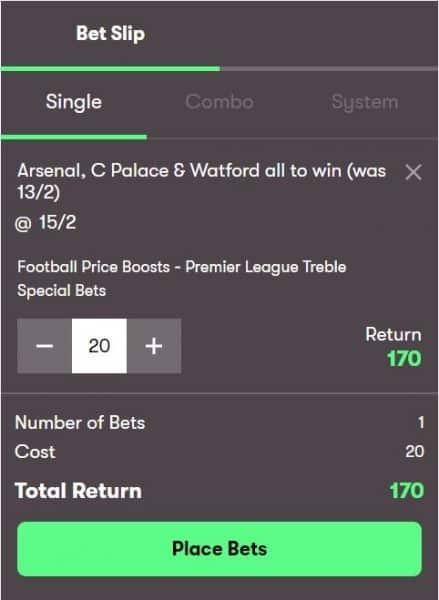 We’d recommend a £20 bet on this treble and that means new customers also get a £10 free bet thanks to the 10Bet sign-up bonus.